Discussion in 'File Downloads - Share and Request' started by Laurent, Feb 9, 2019. I used other thread for more important build. Silver 0.18. Some difference in main menu. Why a :"quit games " ? Anthony817, slayer2k8, americandad and 9 others like this. Nice! Thanks for the releases. The Silver TEST is dated May 26, 2000, 0.18 is dated April 17, 2000. You didn't post the Silver 5/19/00 build so not sure if that's the correct date. Nightmare Creatures II matched the PAL final. Chu Chu Rocket matched the final as well.The KISS prototypes predate the final but not by a whole lot. F1 Racing is very early! It dates almost half a year before the first final build. Are you going to post the MSR? Anthony817 and verne94 like this. Anthony817, verne94, eks20 and 6 others like this. Thanks for the releases, keep them coming. The MSR is actually identical to Metropolis Street Racer v1.001 (2000)(Sega)(PAL)(M4)[! ], not sure why the debugging stuff was left on the retail version (mastering mistake?). Can you put up everything even if you suspect it's final? I can check to make sure. Anthony817, MainJP, verne94 and 4 others like this. Project justice, plasma sword, freestyle scooter, silver test , crazy taxi are ready !!! Anthony817, Esppiral, arnoldlayne and 1 other person like this. Adding everything to Hidden Palace so far. The Freestyle scooter is missing track12.bin. 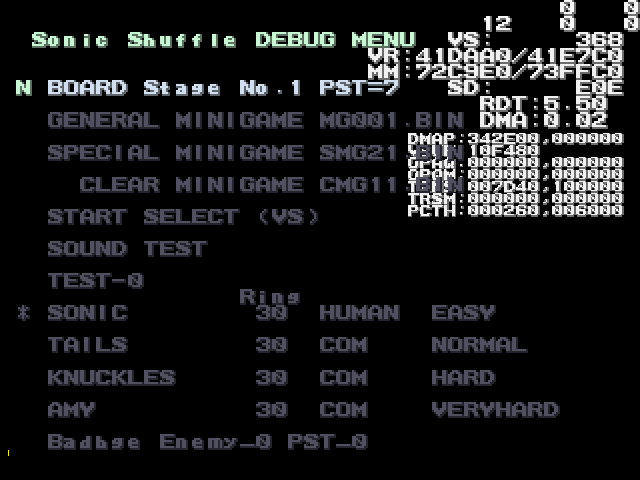 You can get the first two Sonic Shuffle dumps to work by adding a gdi file with this info. The third dump folder (dreamshell) works with demul already. 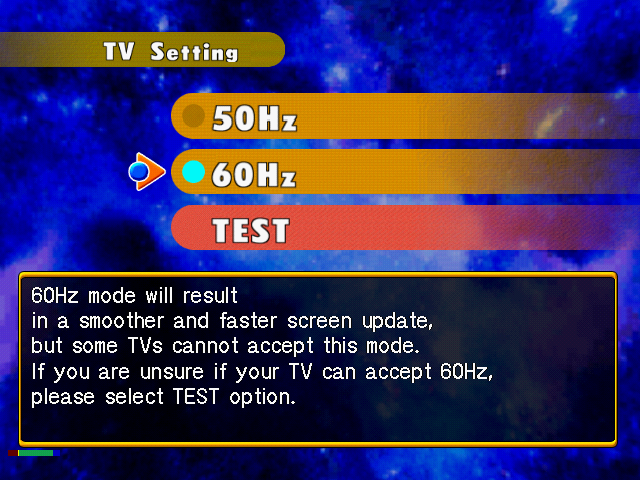 Only difference I've noticed so far is some kind of performance bar on the bottom left of the hz select screen. This goes away after you choose. 1ST_READ seems slightly bigger than the final PAL version's. EDIT: Hold Y while it boots to get a debug menu. Anthony817, MainJP, verne94 and 1 other person like this. Anthony817 and Woofmute like this. getting the debug menu? honestly, i saw the performance meter on boot, saw 1st_read differed, and wondered if there was something hidden. so i held every button at the same time while booting it, except start of course. debug menu appeared and i reset a few times to narrow down which button it was. surprised but glad it worked. thank you for uploading these Laurent! Anthony817, MainJP and Mrneo240 like this. I m happy you found thats. Its why its important to share, I never found thats by myself . I explored the debug, he is fun . Some parts are in japanese . Anthony817, MainJP and Woofmute like this.